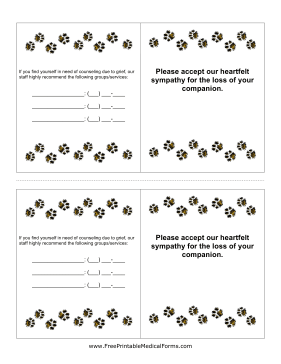 These veterinary euthanasia cards will bring comfort to your veterinary clients who have recently lost a pet. The cards should be cut out and folded, leaving a blank interior for a personal message or the kind words of your staff. The back provides a space for the contact numbers of support groups.